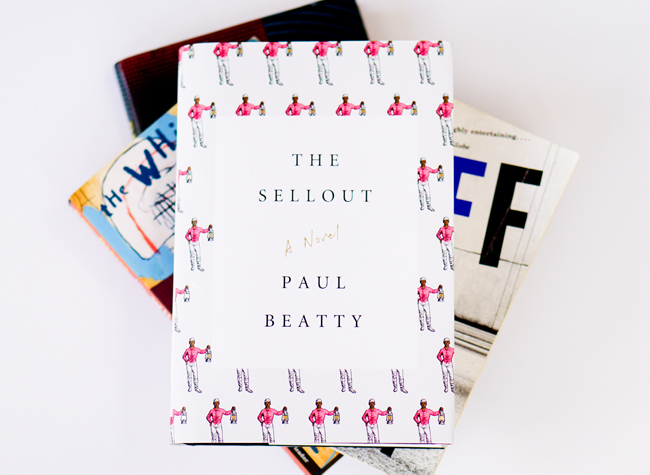 Paul Beatty's The Sellout keeps you laughing. Humor constitutes one of the common, connective threads among many works by several accomplished, contemporary black men writers I've followed over the years. Joke-telling, comical satire, and signifying define their compositions. Those compositions include novels, short stories, essays, raps, poems, editorial cartoons, comic books, and animation. Paul Beatty, Colson Whitehead, Tony Medina, Kevin Young, Rob Guillory, Aaron McGruder, Mat Johnson, Keith Knight, Kyle Baker. Those guys are always giving you something to laugh about in their works. Why does that matter? There have always been funny and playful black writers. Yet, rarely have so many of those writers who infuse humor in their works been leading figures over such an extended period of time. Colson Whitehead, for instance, is one of the more prominent and widely reviewed novelists of the contemporary period, and his books are full of jokes. Often, literature classes and book reviewers cover what might be defined as "serious" literature when and if they cover black writers. The same goes for the scholarship; there's a much larger focus on serious literature, that is in this case, writings about the pain and struggles of black people. There has been far less scholarly work on the kinds of verbal and visual humor that defines illustrated compositions by McGruder and Knight. The political humor and witty biting critiques that appeared in Amiri Baraka's poetry anticipated what we've witnessed for more than a decade in poems by Tony Medina. Langston Hughes's playful blues poems are echoed in blues poems by Kevin Young. Satirical works by Ishmael Reed and Charles Johnson anticipated novels by Paul Beatty, Whitehead, and Mat Johnson. All of that is to say, these humorists black writers have notable and traceable roots. But that racialized humor isn't just connected to past literary works. Whitehead, McGruder, Mat Johnson, Keith Knight, and so forth are also the beneficiaries of Richard Pryor and Eddie Murphy among many others. They also profited from a large and growing body of comedic popular culture television programs and movies, from the 1970s through the 1990s. We'll need far more research to adequately pinpoint the routes and roots of all these humorous productions what it has to do with creative output. For now, we can recognize though that humor is a defining attribute of several of works by black men writers and visual artists.